Lessons Learned at the CSCMP EDGE Conference: Amber Road's Recap! 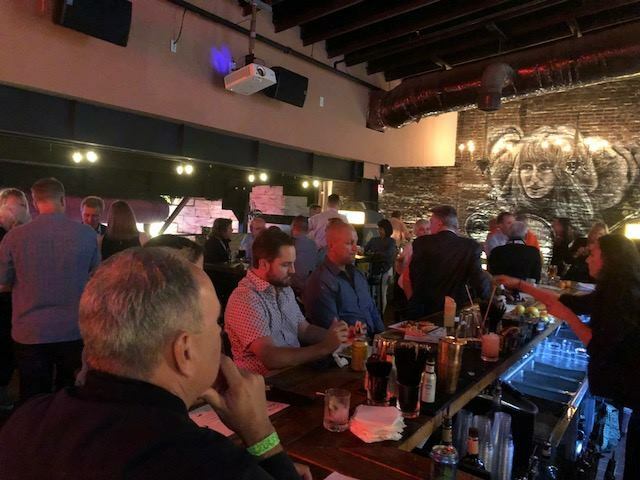 Last week, international shippers and supply chain experts gathered in Nashville for the CSCMP EDGE Conference to share cutting-edge supply chain solutions and best practices. Top talent from Nike, IBM and Amazon started off the event by exploring what the future of supply chain may look like - and how top brands are approaching their own value chains. So, what does the future hold for your international supply chain? An overarching theme this year was the need for true, real-time supply chain visibility, and how to achieve that visibility through some truly transformational technologies like Internet of Things/ IoT, blockchain, and the move to digital platforms. Shippers know they need to adjust to the complexity of today's global trade landscape and are finding innovative ways to automate and digitize their supply chains. So what are the top strategies to keep in mind? It's not just shippers looking to collaborate. Producers, wholesalers, and retailers are partnering together to create a more efficient supply chain as well. These collaborative partnerships can increase sales, reduce operational costs, and streamline the way goods are moved through the supply chain. In light of the ongoing trade war, companies are beginning to adjust their sourcing strategies away from Chinese manufacturers and paying more attention to attractive -and stable - duty rates elsewhere. Many are also turning to alternative countries to source raw materials, which has long been one of China's most stalwart exports. The duty and tariff savings available from free trade agreements have rarely looked so enticing. However, many companies fail to take advantage of these programs due to the perceived difficulties of qualifying for and administering them. A Duty Management solution can help companies simplify and automate the qualification and administration process of preferential trade programs, along with managing Foreign-Trade Zones - and the ROI is especially strong in today's trade environment. Do Digital Supply Chains Dream of Electric Sheep? Supply chains are coming alive with the enhancement of artificial intelligence in WMS (Warehouse Management Systems). For example, robotics are streamlining the way product is pulled from shelves, ultimately increasing the agility of delivery. Another cool IoT innovation comes from project44, one of Amber Road's partners. Regardless of mode, project44 retrieves location updates from carriers via ELD, telematics, app-less tracking, or smartphone applications, then enriches the data and applies predictive analytics to deliver accurate arrival, pickup, location, ETA, and delivery information. This instant visibility empowers companies to ship more efficiently and provide greater customer satisfaction. Ultimately, digital transformation provides the opportunity to embrace innovation in a way that drives completely new value streams. It is one of the most important business trends of our times. Surveys show that only 45% of companies have started the digital transformation, but 56% of those who have were improving profitably. Organizations that have transformed their technology and processes are gaining market share and seeing a true return on investment. See what a digital supply chain could look like for you! 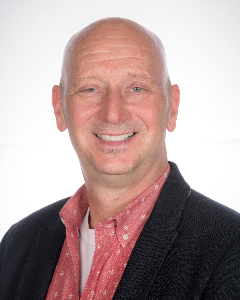 For Gary Barraco, Director of Product Marketing with Amber Road, attending sessions at CSCMP EDGE 2018 was all about looking ahead to 2019, and getting a perspective on what the hot issues will be for our customers. “There were many recurring themes but it was truly revealing to listen to presentations that covered the three primary regions for global sourcing, production and shipping – the US, Europe and APAC regions”, said Gary. “Each of these regions bring with them some consistent obstacles, like rising costs, but some are unique. For instance, US companies are starting to do more recruiting at the high school level to fill positions in the domestic supply chain. Across the board, worldwide, companies are embracing technology and innovation to overcome cost, speed, risk and agility concerns.” Stay tuned for Barraco’s 2019 Top Trends report that will be released in December. 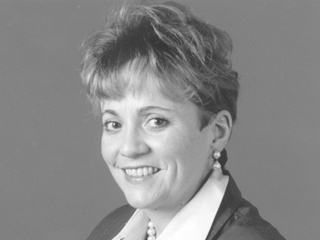 Suzanne Richer, Director of Amber Road's Trade Advisory Practice, drew inspiration from keynotes on leadership - not just for individuals, but for supply chain teams: “CSCMP’s EDGE Conference began with a nod towards innovation and how companies are changing their internal organization to fully manage and dominate their respective markets. Speakers from Amazon, Nike and IBM shined a light on why it’s “cool” to be in Supply Chain today. With disruption in supply chains now a given, you still need to get your product to the end customer. With that, data analytics was king, followed by the need to drive organizational excellence through customer obsession – always doing it better than anyone. To survive, a company needs to make their leadership principles the DNA of every company decision – that’s what’s fueling the growth of these three giants. And they’re right! It’s a cool time to be a global supply chain professional”. 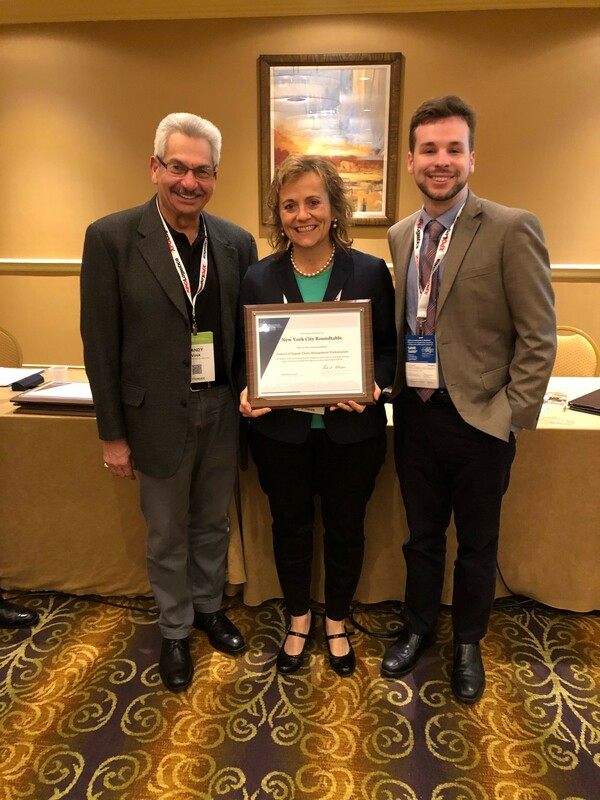 Suzanne is also President of the CSCMP NYC Roundtable, and accepted an award at CSCMP EDGE 2018 on behalf of the roundtable two fellow board members, Sandy Vosk, CEO and Adam Lomasney, Senior Project Manager, NYC Economic Development. Congratulations to an excellent supply chain networking group! 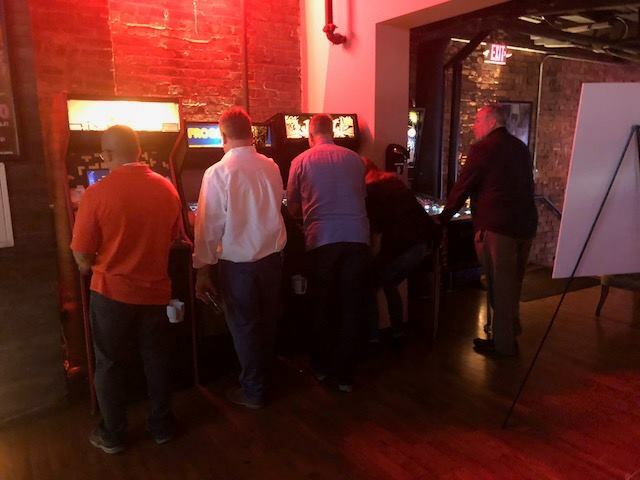 Amber Road hosted a fun reception for our customers, partners, and friends at CSCMP EDGE at the fantastic HQ Beercade, a vintage arcade space right on Nashville's famous Broadway. Thank you to everyone who joined us! Check out the Facebook album of all the pictures from the evening! 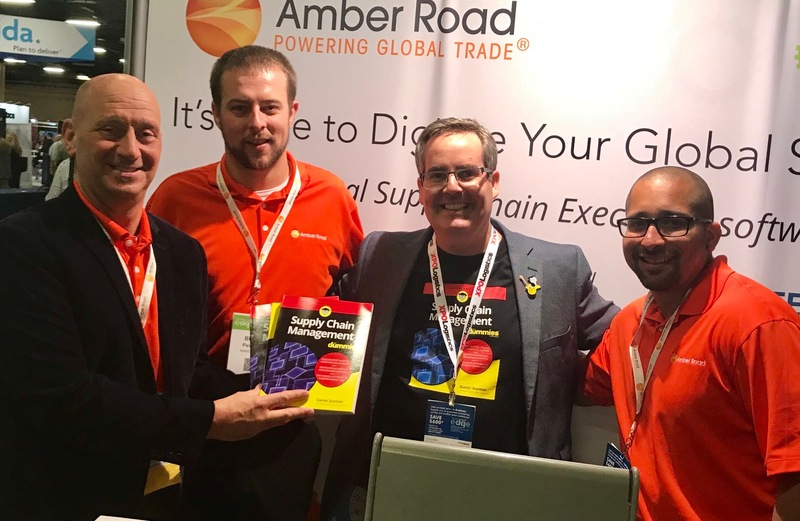 Author Daniel Stanton – “Mister Supply Chain” – also joined the Amber Road team at the event. Dan’s book, “Supply Chain Management for Dummies” is a great reference tool for supply chain newbies and pros! Overall, we can't wait to return to CSCMP EDGE next year in Anaheim, CA. What did you feel were the conference's top takeaways? Let us know in the comments!